May 18, 2016 | Flash upgrades the excellent photographing DNA of the Flash series with the launch of its new Flash Plus 2. But on top of its rich, experiential camera features, the newest addition to the Flash roster also boasts of pioneering functions such as fingerprint recognition, Hi-Fi sound effect, and fast battery charging—all boxed in a sophisticated metal case designed for the high- and medium-end market. In complying with the ethos of tending to detail, the all-new Flash Plus 2 adopts diamond cutting and twice anodic oxidation technologies for the 0.4mm rim of the Home key, for the 0.15mm sound volume key, and for the 0.4mm rim of flash lamp and speaker - each bit of this contributing to the aesthetics of smart phone body. Another big edge that highlights the efficiency of Flash Plus 2 is its fast charging capability that best relieves users of battery capacity concerns. In order to ensure faster charging efficiency while maintaining safety, Flash Plus 2 carries a 3,000mAh battery group and adopts TI BQ25896 fast-charging chip and 9V/1.67A fast-charging technologies provided by Texas Instruments of the United States, which can charge battery to 50% in 30 minutes for up to a 10-hour uninterrupted call. The charging efficiency is raised by 35% compared with 5V/1A phones while it takes only 2 hours for the battery to be fully charged - the time of watching a movie or finishing a meal before the power status of your phones is fully restored. Flash is also taking your photography to the next level with the smartphone’s series of creative functions. For example, the 84.40 ultra-broad view that it carries allows users to do a selfie during family or friends gatherings. The “Picture-in-Picture” Mode allows front and rear lenses to work simultaneously to accomplish a creative photo-in-photo experience. What’s more, the Flash Plus 2 carries a Child Mode for parents to record precious moments of their kids’ childhood, which creates a noise of sheep, car horn or kitten to catch your child’s attention when the photo is being taken. For single-person enjoyment, Flash Plus 2 provides independent AKM4375 audio decoding chip coupled with state-of-the-art IRD sound digital filter, with value-retaining signal output measuring up to high-fidelity acoustic effects. While the speaker is being used for playing music, the NXP980 power amplification chip and built-in DSP algorithm drives speaker power to reach 3.6W - eight times greater than the volume of average smart phones. Furthermore, the new smartphone’s Helio P10 processor ensures strong performance and low energy consumption in providing smooth, free “cut back” through multitasking operation of surfing the Internet, playing games, and watching videos. The all-new Flash Plus 2 comes in two color options - Luna Silver and Venus Gold, providing a high-end customized choice appealing to refined taste. Oh yeah, it is a wonderful feeling, people on social media greeting me on my first celebration as a mom. 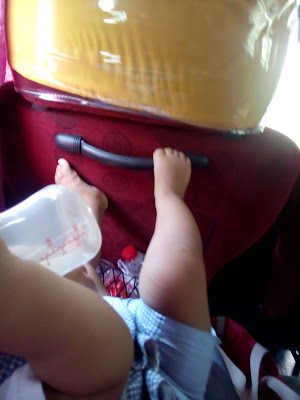 But this was also our first time to travel, just the 3 of us, so it was kinda frustrating when we realized we left a lot of things at home, our things not the babys' lol! I've been reading a lot of sharing from parents and moms especially of how they go about the 360 degree change when having a baby so I was quite ready of all the chaos this travel would create. And of course, I was poised and just brushed off the problem coz I was prepared, but the husband was not, so I just told him that our situation was just normal, and it really happens because we are now parents, our priority is the the needs of the baby. Oh well the joys of parenthood, changes are overwhelming but still super fun! Oh and yeah if anyone here could suggest where to find efficient travelling bags for babies. Thank you! May is the month for all the moms out there, yes I do believe that Mother's Day is not just for a day and should not end there, here's another way to show your very precious Mother how special she is that eventhough you already greeted her, took her out on a date and sent flowers, a photo with her would be something great for more memories. So here's your chance to proudly tell everyone, hello #MeetMyNanay. Take this chance to have a photo of you and your mom for only 20 pesos! 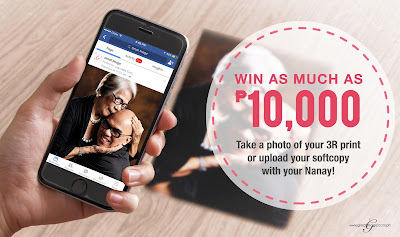 Upload a photo with your mom and get the chance to win as much as Php 10,000. 1. Register through this link:www.greatimage.com.ph/meetmynanay and we’ll send you an email through your registered email address. PHILIPPINES, April 25, 2016 – Herbalife, a global nutrition company, has released the findings of the new Nutrition At Work Survey,which revealed that the majority of Philippines’ workforce leads largely sedentary lifestyles, putting them at risk of obesity. The Survey1, which was designed to understand the lifestyle habits and attitudes of Asia Pacific’s modern workforce, was conducted in March with 5,500 full-time workers in 11 Asia-Pacific markets, including 500 workers from the Philippines.